I've been a Finale user for many years - and I will be for many more to come. 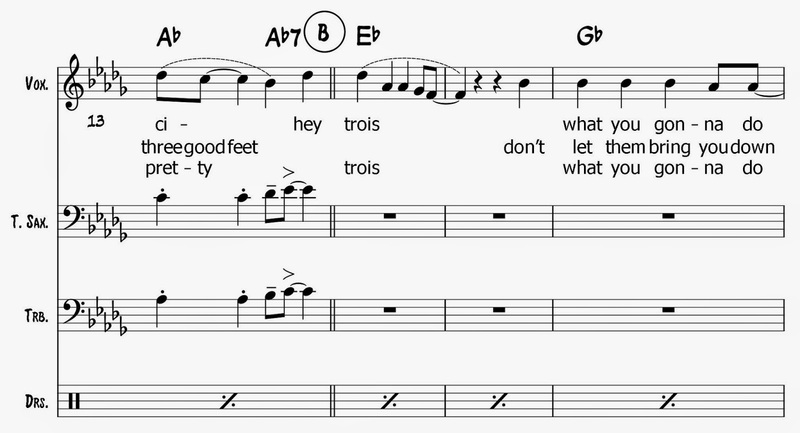 However, it probably won't be my go-to music notation software for new projects. I'm pretty much using MuseScore 2.0 for every new project these days - it does just about everything extraordinarily well, is reliable, feature rich and fits nicely with my own workflow and preferences. Note entry - MuseScore 2.0's features in this department rival even Finale's Speedy Entry feature, something I never thought would be possible. Navigator - the ability to navigate quickly to any part of the score. The Page and Continuous view modes directly correlate with Finale's approach but the Navigator (bird's-eye view) greatly enhances both of these views. Slurs and hairpin dynamics - these are just two examples of common input shortcuts made simple. Pressing "S" will slur any selected notes; hairpin dynamics are input using the < and > keys. Pretty intuitive! Chords Symbols - I love MuseScore 2.0's ability quickly enter chord symbols just the way I want! No, chord symbols don't play back as they do in Finale - but that was never a desired feature and one I often had to scramble around figuring out how to turn that feature off. Metronome - I know this is a simple thing, but I love this feature. I no longer have to compose a drum part as my click (although drum and percussion entry in MuseScore 2.0 is very powerful). Page and Score Layout - I've gotten pretty good at page layout with Finale although much of that learning was the product of a great deal of time and experimentation. MuseScore 2.0's layout features (with the "Breaks and Spacers" and the vertical & horizontal frames) are easy to use and work pretty much as I'd expect. Inspector tool - very useful for selecting a group of notes and changing their attributes en masse. At first it seems like an "Advanced" tool but once explored you'll be clicking F8 to get at these features - for example, making notes invisible, making a group of notes smaller, etc. All very easy with this tool. Looping Measure(s) - the ability to select one or more measures and loop them in playback! That's really useful for practicing lines with the score! Used in conjunction with the metronome and this is a double cool feature with many practical uses! Open Source - I love the fact that this software has a huge community and support network. It's a true marvel, creating such a feature-rich tool for creating musical scores and lead sheets given the wide range of musical styles and preferences within the world of music notation. The barrier to entry is incredibly high, but MuseScore 2.0 clears the bar and then some. And because it's open source, the anticipation and support for new features will hopefully continue long after this MuseScore 2.0 honeymoon is over! Repeat Last Selection ("R" shortcut) - I know I said "Top 10" but my list of favorites would be incomplete if I didn't mention the "R" feature - which is to say the "Repeat" feature whereby you simple select any measure or note group within a measure and press the R key - those selected notes notes and/or measure items will be repeated to the next beat or measure. This is extremely powerful and reduces millions of key strokes! I love many, many other aspects of MuseScore 2.0 - from the ability to import a variety of formats, including MIDI and MusicXML, to being able to export a score's playback to MP3, WAV or other audio format, to being able to use MuseScore 2.0 on Windows, Linux or Mac. The list of favorites goes on. Note Mover Tool (ability to move/merge/replace select notes from one staff to another) - yes, I can copy notes many different ways in MuseScore 2.0, but when it comes to fine-grained note movement I believe MuseScore 2.0 could improve on this lack of functionality. Finale's "Note Mover" tool would be a nice feature to have in MuseScore 2.0. Exploding Notes - although MuseScore 2.0 does indeed have a very useful "Explode" note feature, it's limited to the staff directly below the one you are exploding too. Finale has more fine-grained control over this feature. I wish MuseScore 2.0 would allow me to explode notes from different voices as Finale does. Still, I can work with MuseScore 2.0's explode note implementation - works good enough for what I most commonly need. Copy/Paste only certain items (via filter) - Finale's features in this department are powerful. While MuseScore 2.0 rivals many of them, I miss being able to (easily) copy only articulations, slurs, et al., from one melody to another un-detailed.. Maybe this feature exists in MuseScore 2.0 - but as of this writing it's not obvious to me how to do this.